Available for groups up to 30 people, dine off the menu, family style service or select a custom menu. We'll work with you to make your event perfect. Great Italian food. Homemade pasta and classic recipes reminds me of Uncle Danny’s house. It’s the first restaurant to do that! Amazing as always!!! Can't wait to go back!!! The wait staff were great...had no leftovers, ate everything! Had heard about this place from different people and tried it for my birthday - excellent and large portions, so got two meals out of it. We'll definitely go back. Parking is tough. Some street meters, but none to be found (Monday night). Great menu. Food always delicious. Love this place. I have been dining at Vinny's Restorante for over 40 years and the food is consistently DELICIOUS!!!!!!!!!!!!!!!!! Great food in a welcoming setting. Double cut pork chop with vinegar peppers is a standout. Arancini is a great starter. Best marinara. Service is always perfect, no rush, friendly. Get the stuffed veal chop. You wont regret it. In a word, Vinny's was great! When Bosotn gets too cold and damp and slushy, there's only one thing I need: Vinny's veal osso bucco. It's deeply satisfying--warm, richly flavorful, and filling, both of body and soul. 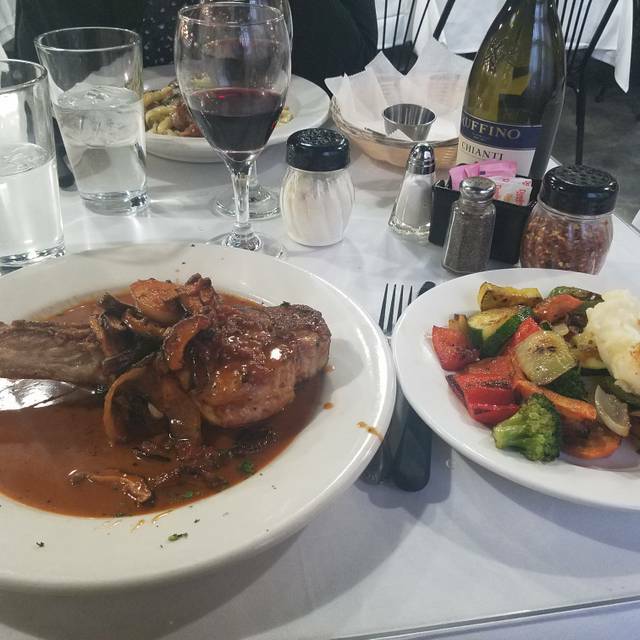 So in the last week, I went to Vinny's twice and both times needed and got the ossu bucco (I actually much prefer the veal to the lamb, and the veal comes with risotto, but I prefer either pasta or the fantastic potatoes and vegetables on the side, becuase I like my osso bucco straight). Both times I thought "this is the best comfort food I've ever had!" and it was just as good the second time as the first. Vinny's is an incredibly friendly place. Both the staff and the other customers seem happy to be there. I love Vinny's, and I especially love Vinny's veal osso bucco! Nice family restaurant with friendly service and very good food. 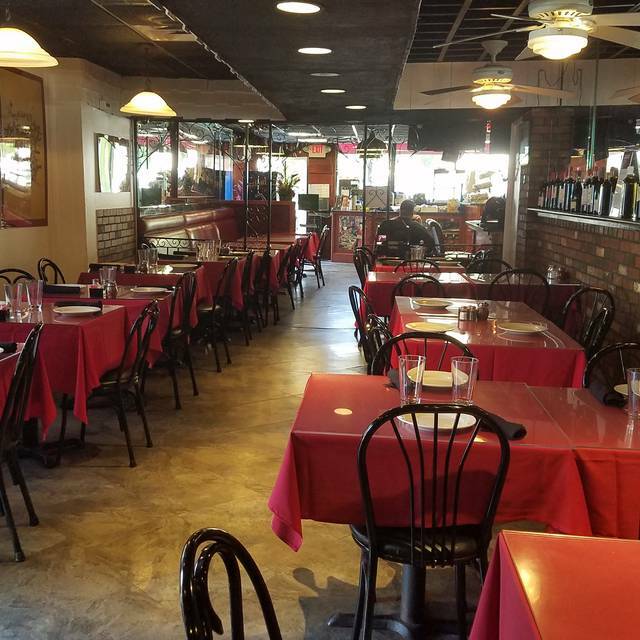 Whether for a romantic dinner for two or a fun surprise dinner for out-of-town friends, we love Vinny's at Night. Vinny's is a great find! The food is good, simple, fresh Italian food. I recently had the fresh pasta with the eggplant parmigiana and it was delicious. The restaurant is in the back of an old fashioned Italian delicatessen and is relatively small so it's a good idea to make a reservation. Love Vinny's! The food is always top quality, abundant, and the homemade pasta is incredible!! In all of our visits, we've only had one dish we wouldn't recommend, the osso buco was very bland tasting although very tender. My husband was eating off of all our plates, wishing he ordered traditional Italian rather than the veal osso buco. He didn't leave hungry but he definitely wished he had ordered something with more flavor. I highly recommend the haddock stir fry (in the garlic sauce or red sauce)--I never order anything else (it's that good!) We'll be going back--it's a wonderful place with wonderful food! Best Haddock stir fry over angel hair pasta I have had in my 60 years .....fantastic!!! After a bit of a search, I was able to locate a Sicilian restaurant, Vinny's at Night AKA Vinny's Ristorante. The front of the property is an old-fashioned Italian deli. Walk down a short corridor and you are in the Ristorante. Food was excellent with a decidedly different flare from the usual pasta helpful and attentive. The restaurant is supposed to be not far from Sullivan Square Station - too long a walk for me but good for someone who is used to walking. It was practically the coldest night of the year so far, so what could be better than going to Vinny's for veal osso bucco. Succulent veal in a rich brown sauce with celery and carrots, risotto on the side (you can also get it in the same dish) or pasta, with great warm bread. Good for the body and the soul. Service is great. It's fun to be in a resataurant where everyone seems to be having a great time. 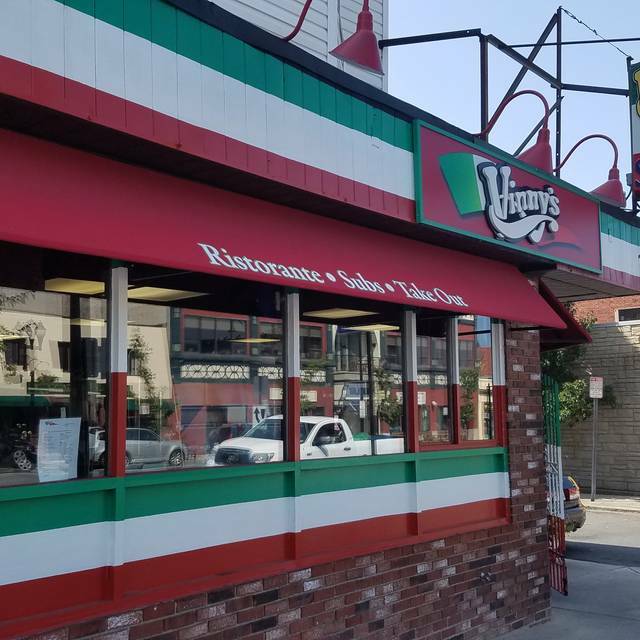 Vinny's is a classic neighborhood gem. Come for the old-school Itallian food. Stay because the old-school Italian food is AMAZING. Big portions. They do not skimp! Lovely staff. We'll be coming back again and again! Vinnies never disappointments. Its a sub shop with tables in the back—nothing fancy. Food is great, price is right and the staff is friendly and efficient. I highly recommend the eggplant special with the mafalda pasta. The sauce is outstanding. Bathroom facilities are a little sketchy, but that’s my only negative. 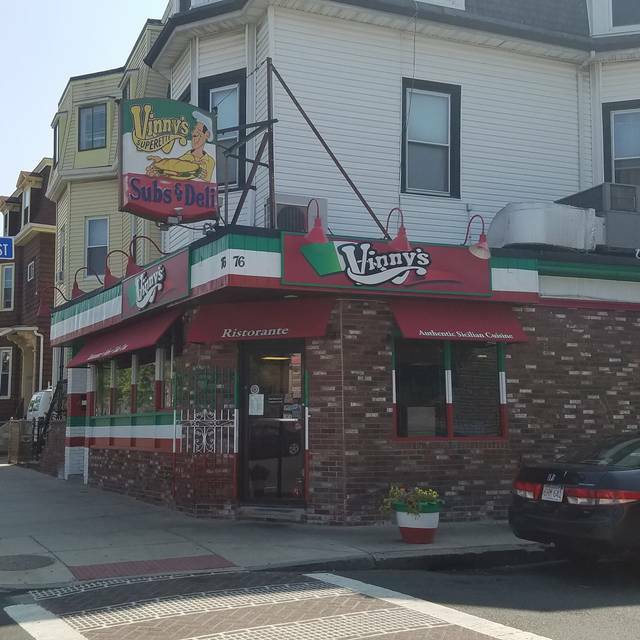 Vinnie's is a hidden jewel with authentic and delicious Italian food to rival any restaurant in the North End. It's lack of atmosphere gives it atmosphere. It is cosy and intimate. From the arancini to the homemade pasta and veal piccata to the expresso martinis, Vinnie's hits the mark! This restaurant is a hidden gem in Somerville. To the unknowing customer it appears to be a sub shop. 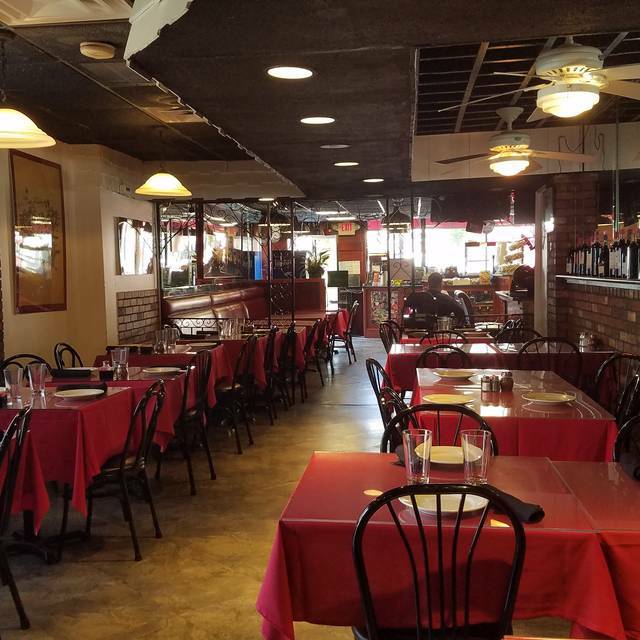 But at the back is a small eat-in restaurant that serves some of the best homemade Italian food in the Boston area. Each meal prepared fresh—no pre-prepared here. Homemade pasta and amazing meat sauce are spectacular. This is a place you must try—an incredible meal in a place you might pass if walking by the “sub shop”. Just be prepared to wait for your food. Everything made to order. Worth the wait. Great Italian food. Throw back restaurant from the winter hill days for sure. Everyone knows they r going to have an awesome meal. We are regulars at Vinny’s and are normally treated so well (and tip well). Recently, there’s been a high volume of customers (happy for them) but the services lacks in return. I made reservations most recently, planning ahead, and yet still waited 15 additional minutes. Once seated at a wobbly table in the corner, our food and drink orders were rushed. We requested bread as usual which never came, and were never asked if our meal was okay or if our drinks should be refreshed. Very disappointed and hope they figure it out now that they’re busy. We really enjoyed our first trip to Vinny’s. The food and drinks were amazing. Homemade, authentic Italian cooking at its best! We will definitely be back! 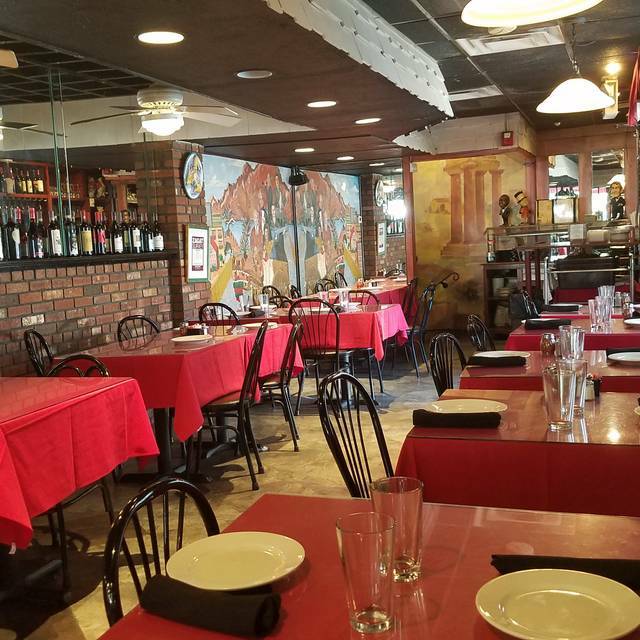 Vinny's is a "for real" place - which applies to its storefront location, its unpretentious atmosphere, the menu of authentic Italian specialities, the generous portions and pours, and the down-to-earthness of the serving staff and everything else about this wonderful place. Our reservation was for 7:45 and our food was served at 9:30. This place is very disorganized. The seats are packed close together but I guess that is what gives it a certain charm. They give you plenty of nice (white) bread and The food was pretty good but really not worth the wait.